The Guilford Press, 9781462516681, 1010pp. Eric J. Mash, PhD, is Professor Emeritus of Psychology at the University of Calgary and Affiliate Professor in the Department of Psychiatry at Oregon Health and Science University. He is a Fellow of the Canadian Psychological Association and of the Society of Clinical Psychology, the Society for Child and Family Policy and Practice, the Society of Clinical Child and Adolescent Psychology, and the Society of Pediatric Psychology of the American Psychological Association. Dr. Mash is also a Fellow and Charter Member of the Association for Psychological Science. 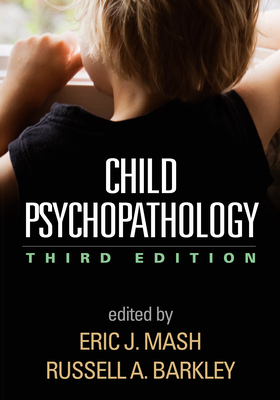 He has served as an editor, editorial board member, and editorial consultant for numerous journals and has published widely on child and adolescent psychopathology, assessment, and treatment.